Restaurants, Bakeries Fairfax/Beverly/La Brea/Third St.
Found in a small strip mall off of 3rd Street, SK Donuts & Croissants draws in large breakfast crowds each morning for their expertly made creations. 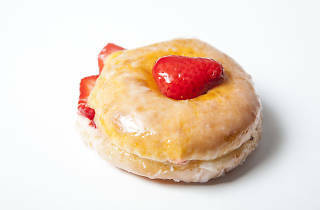 From classic flavors—glazed, frosted, old fashioned and fritters can all be found here—to donuts stuffed with fresh fruit and whipped cream, there a pastry here for everyone. 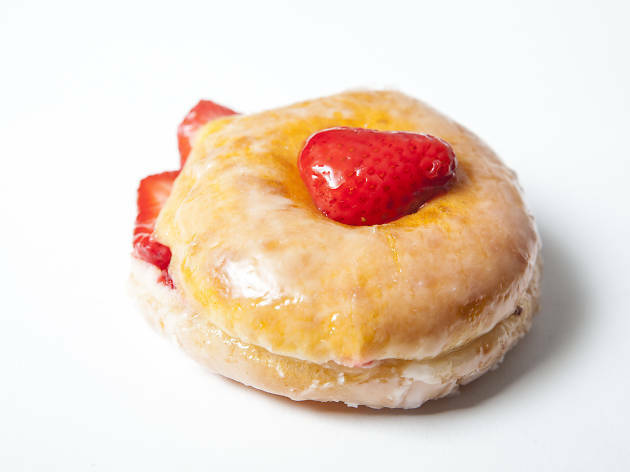 Don't walk out without picking up their strawberry stuffed donut, which gives the Donut Man's own version a run for its money.